Lettuce wraps, or should i say gigantic spinach leaves taking over lunch time! Filled with a nourishing vegetable mixture with an asian flare. Now there is nothing better than knowing you will be sitting down to a fulfilling and delicious lunch is there? Do you find lunches are the hardest meal of the day to decide on? Or is that just me? Sometimes you prepare your lunch the day before or sometimes you skip lunch altogether because breakfast turns into brunch and brunch turns into late afternoon snack time, consisting of no nutritious ingredients in sight. Ok, that only happens on the weekends, I promise! So let me share with you these amazing and vibrant vegan lettuce wraps infused with fresh asian flavoured sauces. I thought it was the perfect time to create a fresh new vegan recipe using one of my favourite ingredients, spinach! We have spinach leaves growing like wild weeds in our backyard so of course I’m going to jump at the opporunity to harvest a few dinosaur sized spinach leaves! 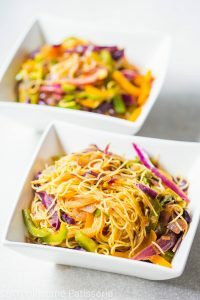 Since spring is around the corner and that means summer is fast approaching, we have to get into the swing of things and I’m referring to fresh and summery lunch ideas. 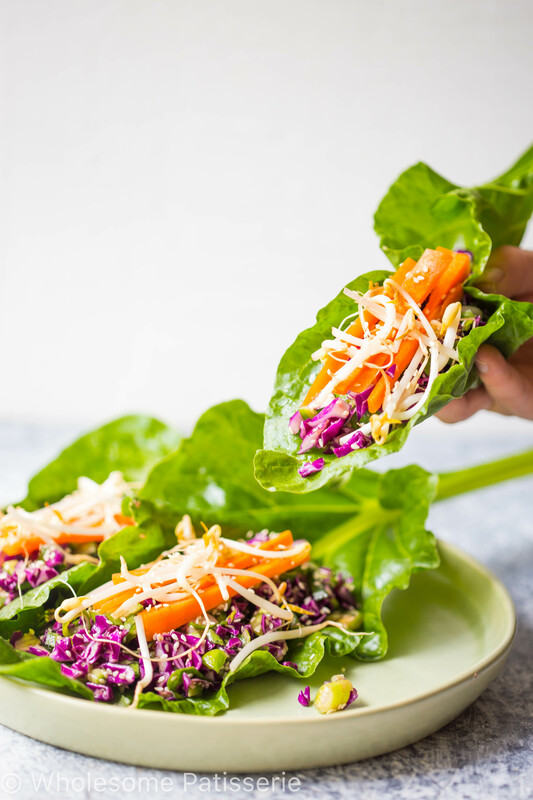 Better yet, you can enjoy these asian inspired lettuce cups for your before dinner appetizer! 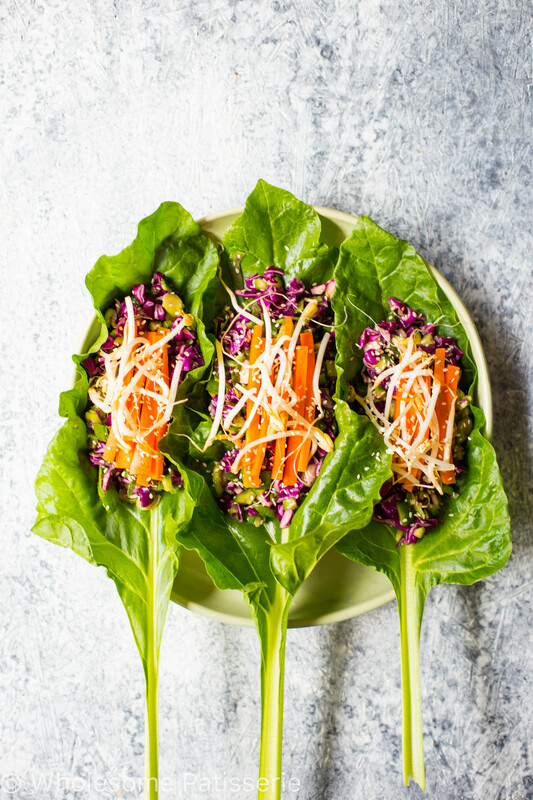 If you’re feeling that asian flavour lately, why not have these lettuce wraps for lunch or as an appetizer and follow with my incredibly scrumptious Vegan Singapore Noodles?! Such a simple dinner meal to not only prepare but to eat! 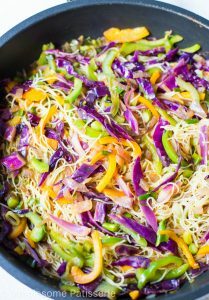 Packed with flavour and nutritious veggies! 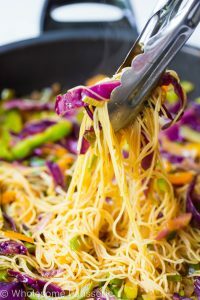 If you’re just a tad obsessed with asian sauces then you have come to the right recipe! These asian lettuce cups have the most perfect balance of sweet and and a little spice. 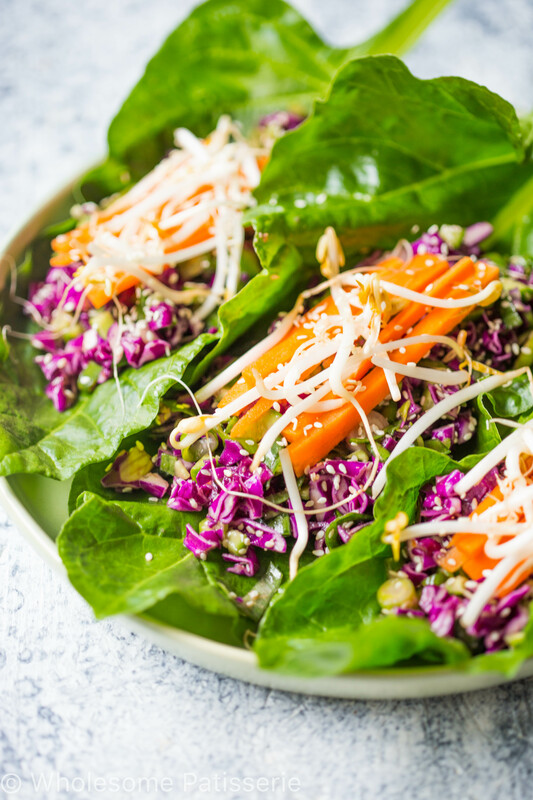 Loaded with fresh raw vegetables, bursting with flavour and nutrients. These beauties will satisfy your mid day cravings and provide your with that boost of energy you need to continue to be your awesome self! 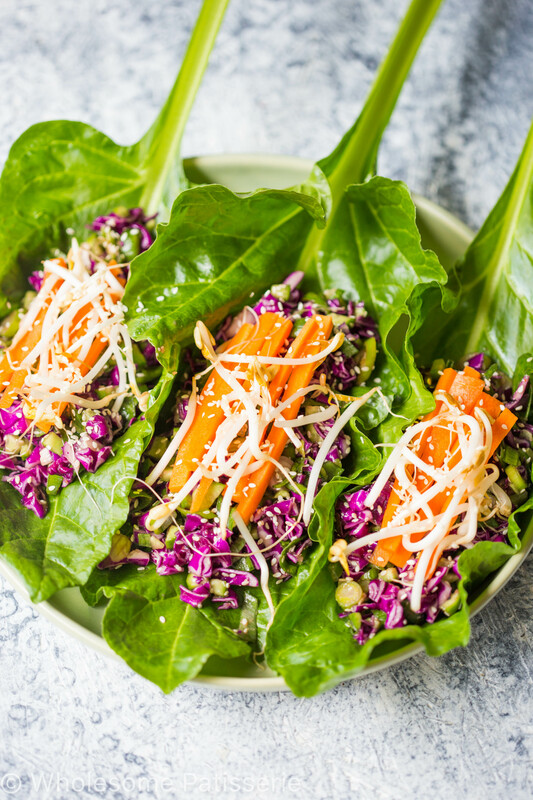 Bursting with fresh raw vegetables with an asian flare, these vegan lettuce cups are here to satisfy your mid day craving! In a medium sized mixing bowl, combine chopped vegetables. Add sesame oil, hoisin sauce and sesame seeds to vegetables, mix until well combined. Spoon a generous amount of mixture into lettuce leaves. Place a few julienne carrot sticks and bean shoots over each. 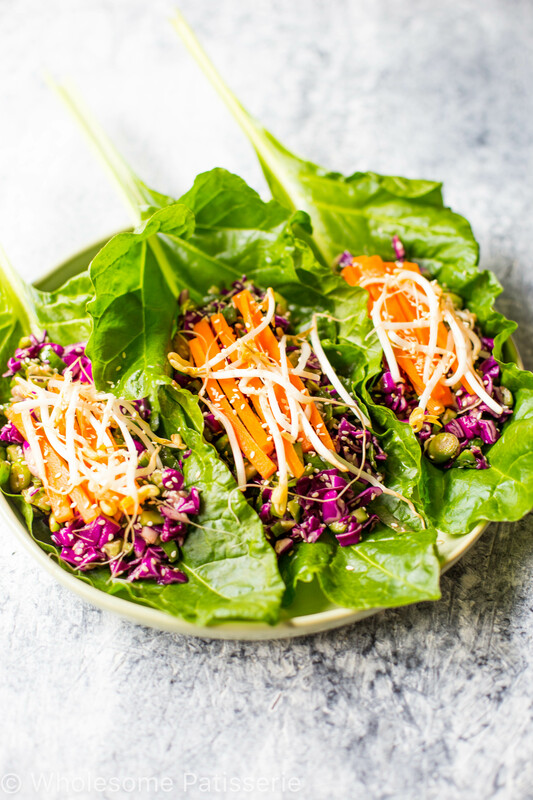 You can use any large lettuce leaves you choose for this recipe. Ensure all your sauces are gluten free. Find them at your local health food store.